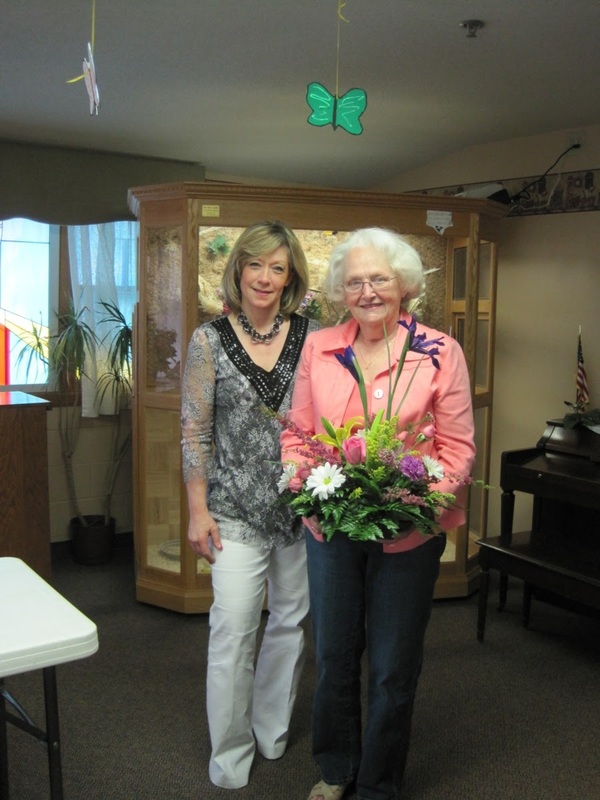 The Exeter Care Center hosted their annual Volunteer Tea on Tuesday, April 20th. 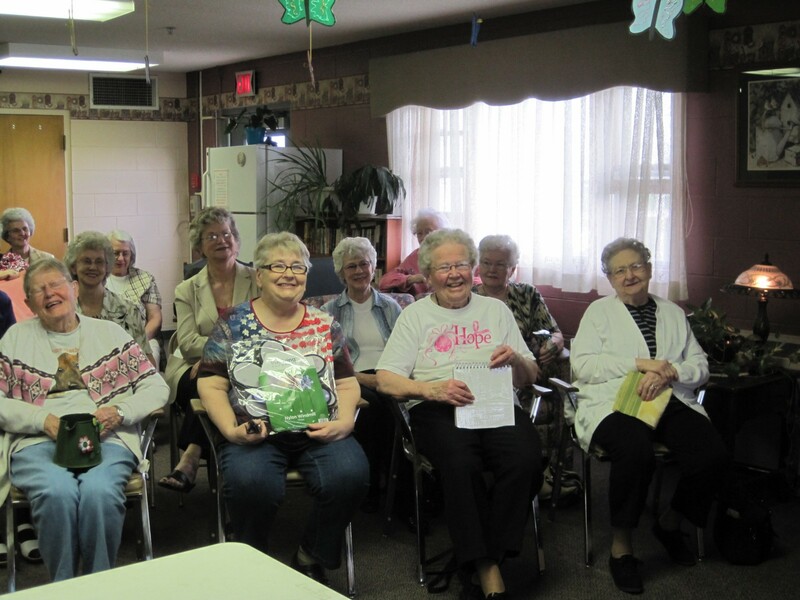 They hold the event to recognize all of the volunteers that take time out of the busy schedules to spend time with the residents doing activities and visiting with them. They had 23 of their volunteers come to the tea. 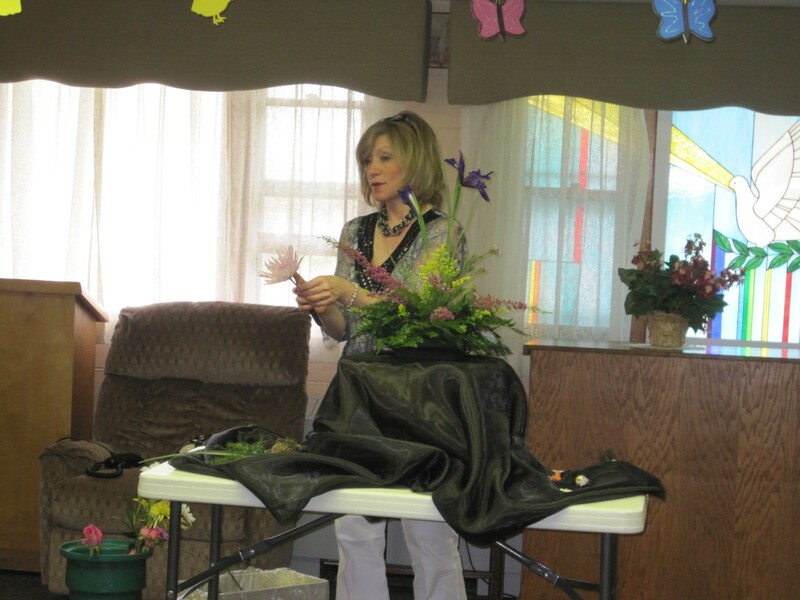 The ladies were treated to a demonstration by Greta Stutzman of Blue Blossom Floral of Friend on floral arrangement. After the presentation there was a drawing for the beautiful arrangement that Greta designed. The arrangement was won by Frances Becwar. All of the other volunteers received door prizes and afterward joined the residents in the dining room for brownie sundaes.